REGISTER FOR READY, SET, SPEAK! to inspire the pursuit of creativity and artistic expression in all aspects of life; to create an inclusive community of diverse backgrounds and experiences; to evoke a sense of cultural dignity and pride amongst contemporary Nigerian youth. By fostering creative thinking and imagination, our organization aims to empower Nigeria’s future changemakers with the necessary skills to positively transform their local, national and global communities. Digital technology has transformed our world. Today's developed economies are being driven by rapid changes in the technology space. We believe that it is important to prepare our students for this future by empowering them to lead and not just equipping them to participate in the digital economy. Creativity is the key driver of societal growth and development. Given the complex challenges in our global world, creative individuals are indispensable because of their ability to take initiative and think outside the box in order to solve pressing societal problems. Inspired by a series of talks and workshops, we held during our 2017 summer camp. #ICEsessions is our new programmatic focus for us where we gather secondary students to educate and inspire them on different topics in our focus areas. More details to come. 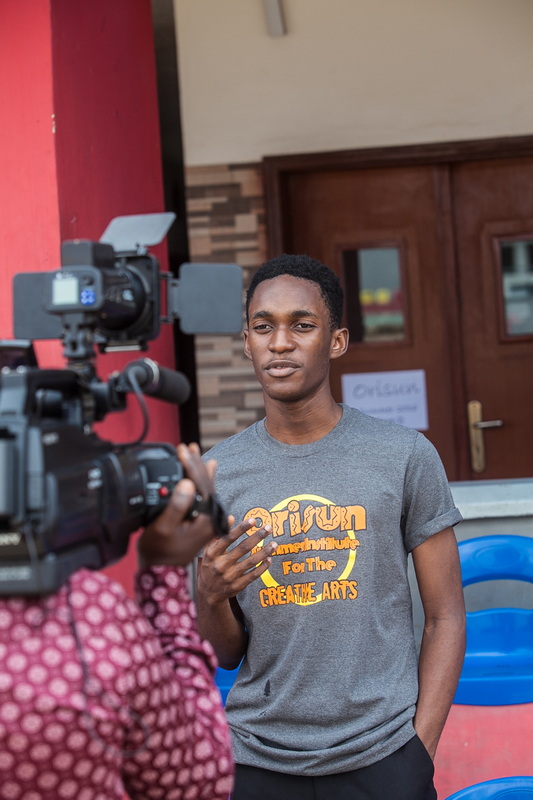 Founded in 2016, Orisun Collective Inc. provides educational programs for Nigerian youth (Ages 10-16) centered on creative arts, digital media and technology, and social responsibility. Through our engaging programming, Orisun inspires the pursuit of creativity and artistic expression in all aspects of life, creates an inclusive community of diverse backgrounds and experiences, and evokes a sense of cultural dignity and pride amongst contemporary Nigerian youth.